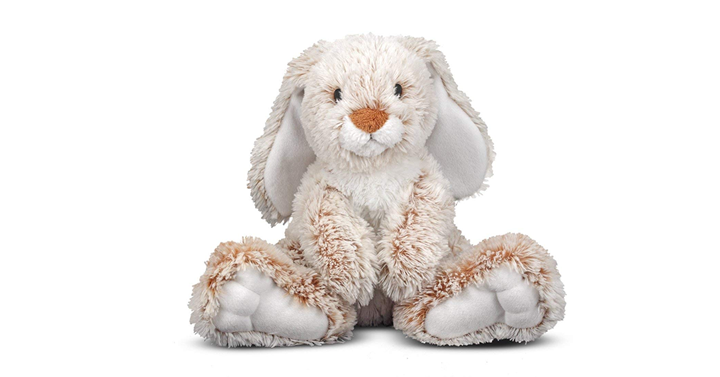 Melissa & Doug Burrow Bunny Rabbit Stuffed Animal – Just $8.79! Was $14.99! Today only! Need an Easter bunny for your basket? There is still time! How cute is this one? This cute bunny is from Melissa & Doug too so the quality will be excellent! Check out this price – hurry, it is today only pricing. Check out Amazon’s DEAL OF THE DAY on the Melissa & Doug Burrow Bunny Rabbit Stuffed Animal – Just $8.79!